Bicycle! Bicycle! 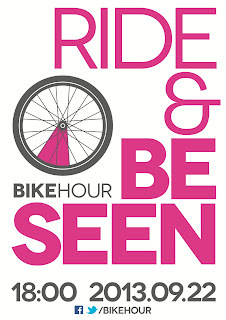 : 2013 Bike Hour II: The Bikening. 2013 Bike Hour II: The Bikening. It's that time of year again! 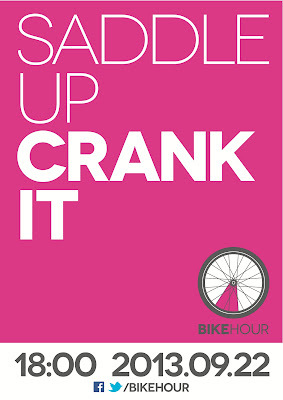 Soon the equinox will be upon us and no matter which hemisphere you call home, the equinox means Bike Hour. 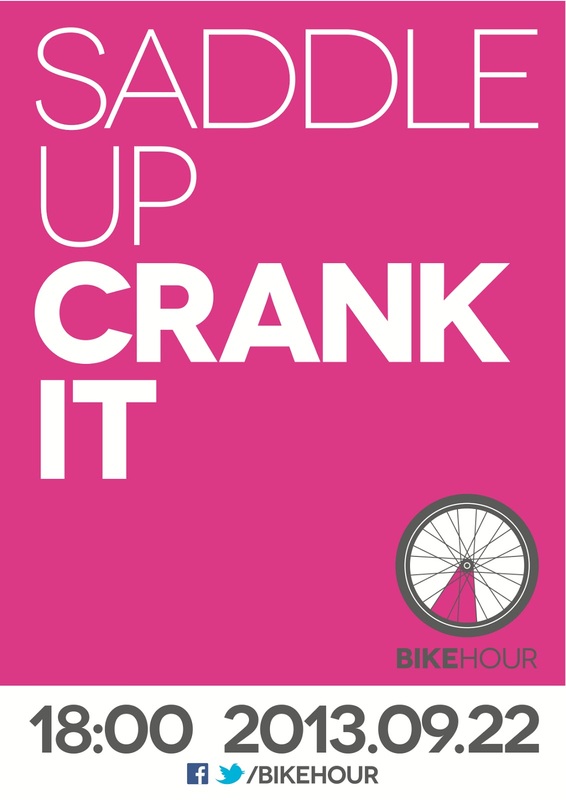 As I explained in typically coarse language last equinox, Bike Hour is a completely unstructured, unorganised excuse to celebrate and ride your bicycle in the hopes of inspiring those around you to think about bicycles. Whether you choose to channel that inspiration through a filter of Strava Obsessed Roadie, Penny Farthing Oddity, BMX Session, Twee Hipster Coffee Run or Urban Commuter is entirely up to you. My personal favourite form of inspiration is jealousy so I try to look like I'm a much more interesting person than I really am who is pedalling somewhere much cooler than I really am. (Reality: I am probably returning incredibly mainstream video rentals or buying cat food.) 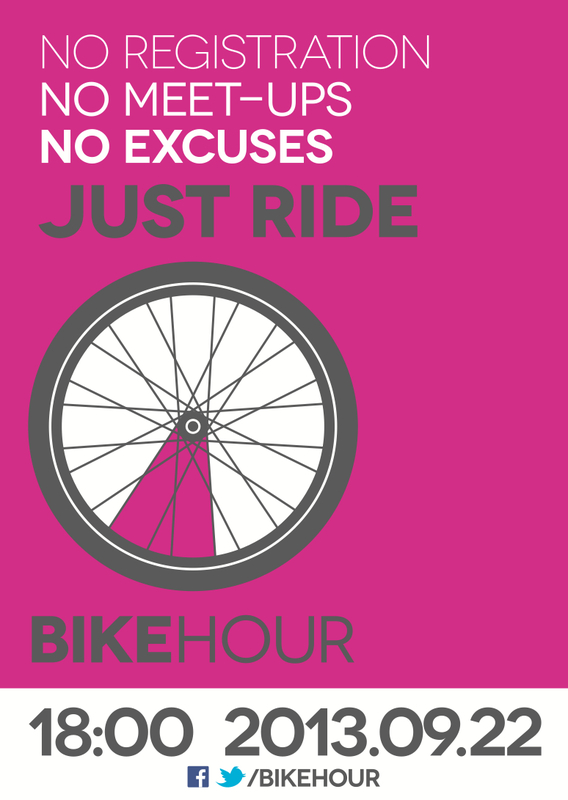 The point of Bike Hour is that none of these variables actually matter as the only goal is to be out on your bicycle during the designated hour. 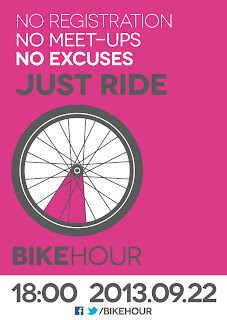 Where will YOU be this Bike Hour? Your bicycle, not your Pink-Spoked Circle. 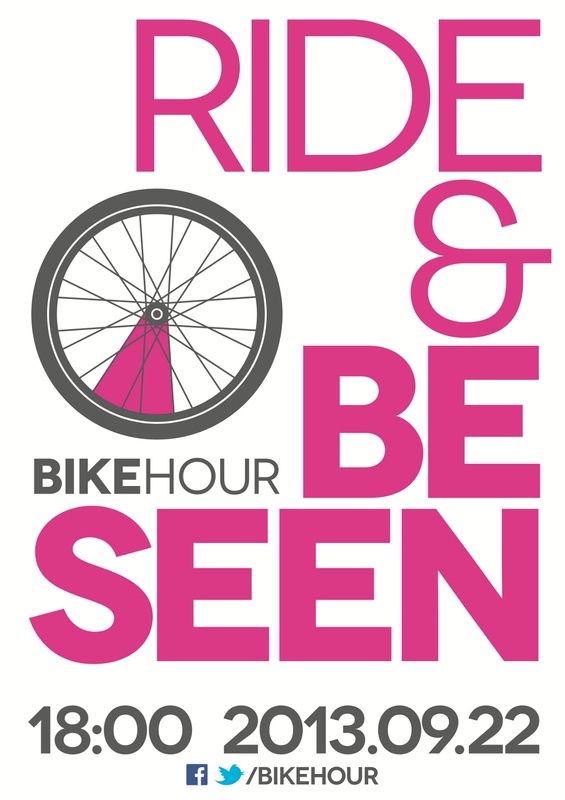 Gratis Bike Hour promotional materials are available here if you do decide to organise a community event, otherwise you're free to crank your pink-spoked circle alone. I've heard it's just as fun that way.